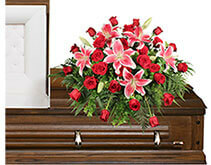 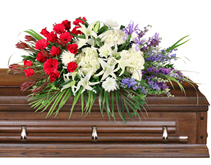 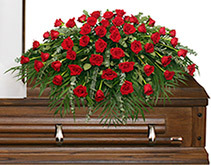 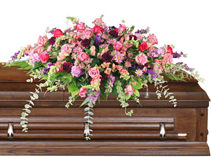 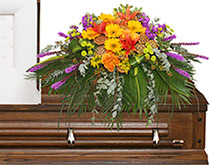 THIS BEAUTIFUL CASKET COVER CAN BE USED FOR AN INFANT OR A YOUNG CHILD. 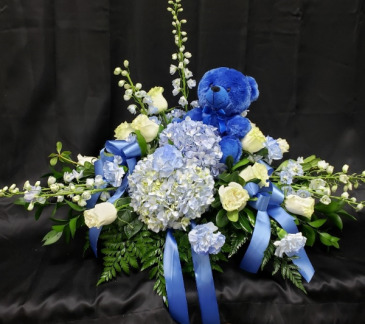 THE BEAR CAN BE RMOVED FOR A KEEPSAKE. 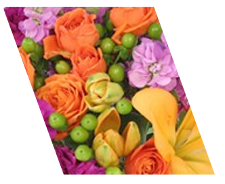 THIS CAN ALSO BE DONE IN DIFFERENT COLOR PALETTES. 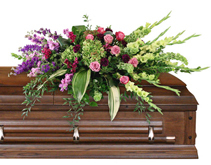 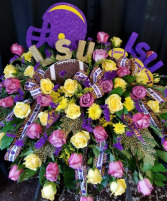 CHOOSE THIS BEAUTIFUL LARGE PURPLE AND GOLD CASKET COVER FOR THE TRUE LSU FAN. 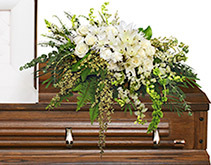 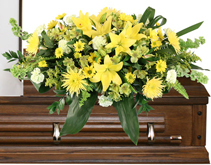 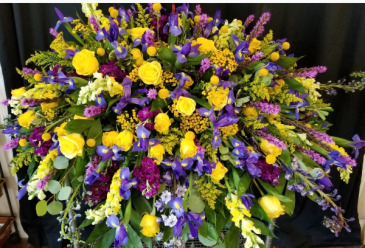 REMEMBER THE ULTIMATE LSU FAN WITH THIS BEAUTIFUL LSU TRIBUTE CASKET COVER. 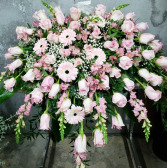 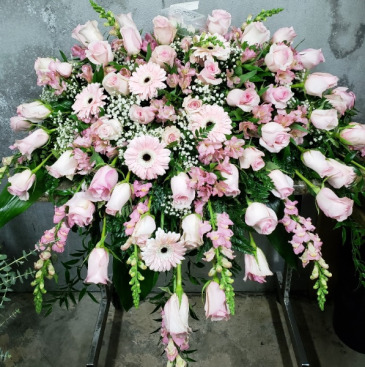 VERY FEMININE CASKET COVER IN SEVERAL SHADES OF PINK WOULD BE A WONDERFUL TRIBUTE TO YOUR MOTHER, WIFE, AUNT, SISTER OR FRIEND.